Volkswagen revealed its upcoming I.D. 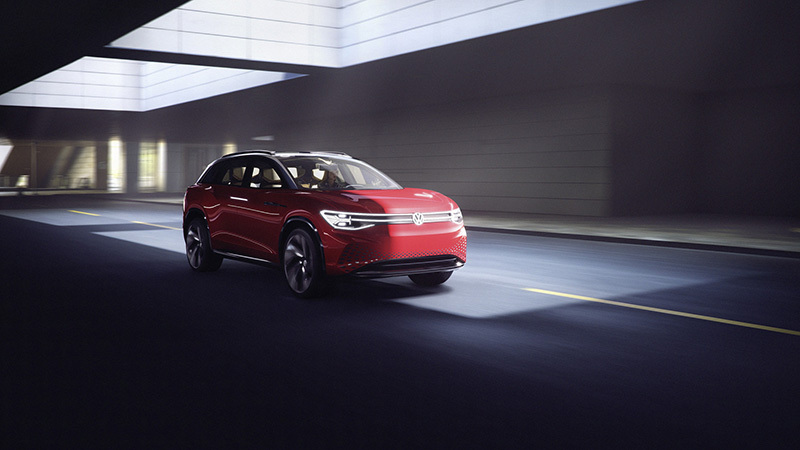 Roomzz electric SUV at a company-sponsored "Brand SUV Night" ahead of the Shanghai Auto Show. 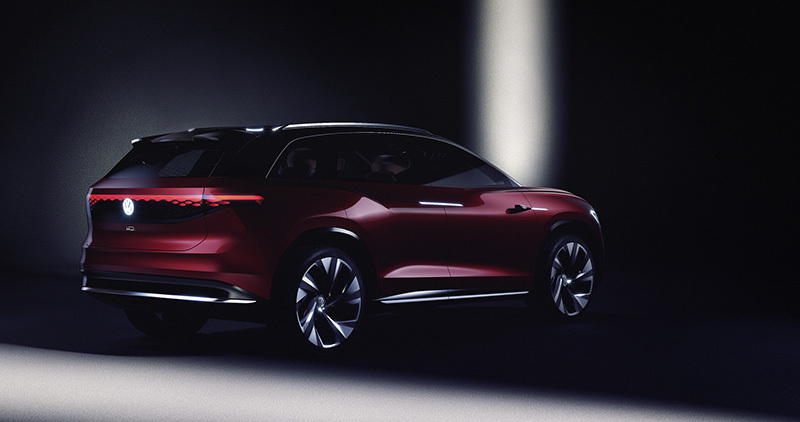 Its newest concept looks to continue the trend of showing off the company's latest-and-greatest approaches to design, technology, and convenience through an approach of originality. 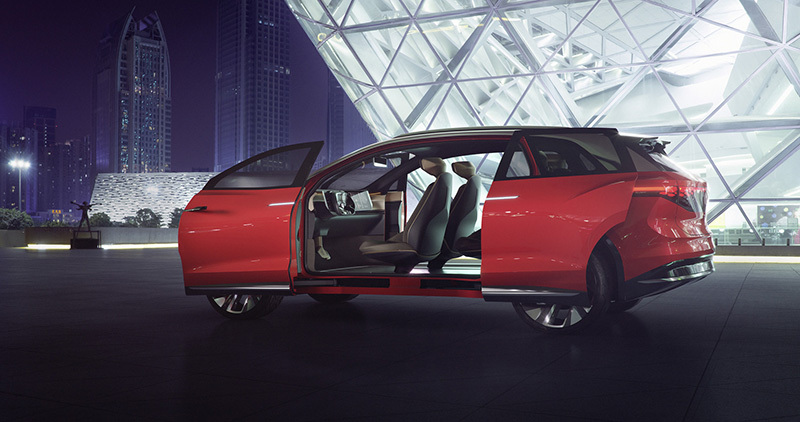 The Roomzz features an 82 kWh battery that Volkswagen claims will provide a moderate 280 miles of range from a single charge. The German automaker doesn't want its new EV buyers to suffer range anxiety, so it claims that the Roomzz can be charged from flat to 80 percent in about 30 minutes. 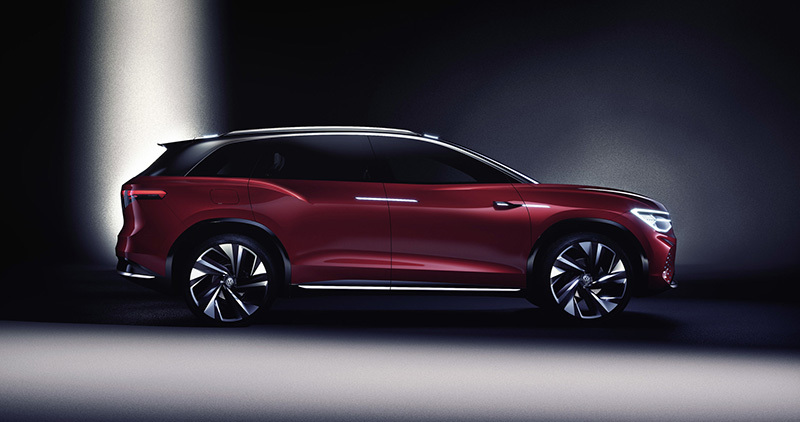 Two electric motors power the Roomzz, enabling the SUV to sprint from zero to 60 in just 6.6 seconds with all available torque right from the start. The automaker notes that the EV will continue pulling until 112 miles per hour, where it is then electronically regulated. External styling remains similar to other members of the I.D. family which have been revealed in the past months with sleek, flowing lines across the car that is technologically stimulating both inside and out. 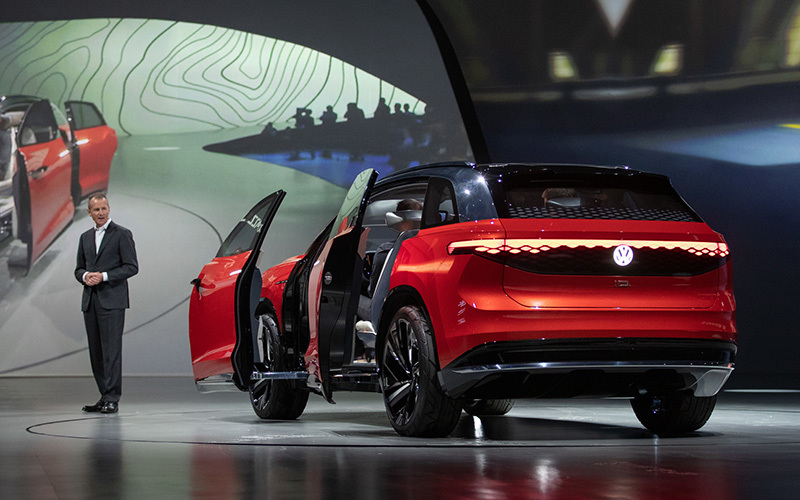 Perhaps the most different thing about this particular concept is the rather unusual way that the doors open, similar to the Chrysler Portal concept which debuted in 2017. 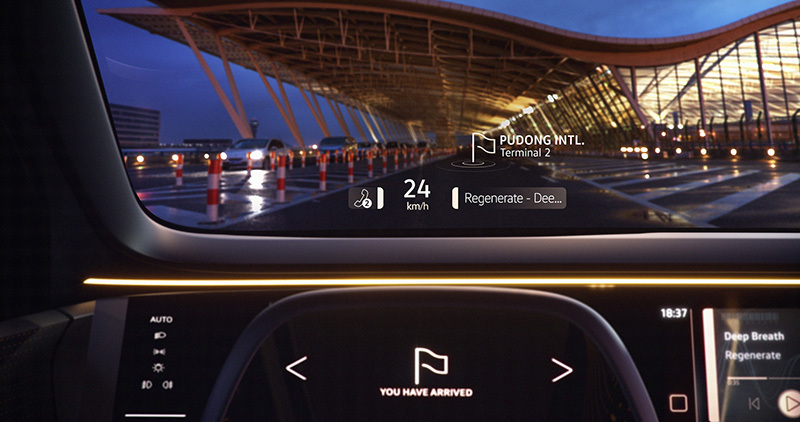 The interior is a minimalist's dream; a condensed dashboard is clad with displays, extending the driver's intractability to the multifaceted steering wheel and heads-up display. Small lights illuminate the cabin through pinprick-sized holes along the cabin, and a large, spacious glass roof gives a wide-open feeling to passengers. Volkswagen built a great deal of buzz around the seating in the Roomzz being different than any other vehicle. Finally, at the reveal, everyone got a peek at its new third-row seat. While an extra row of seating in a large SUV might not seem different, the position of the seats certainly do. 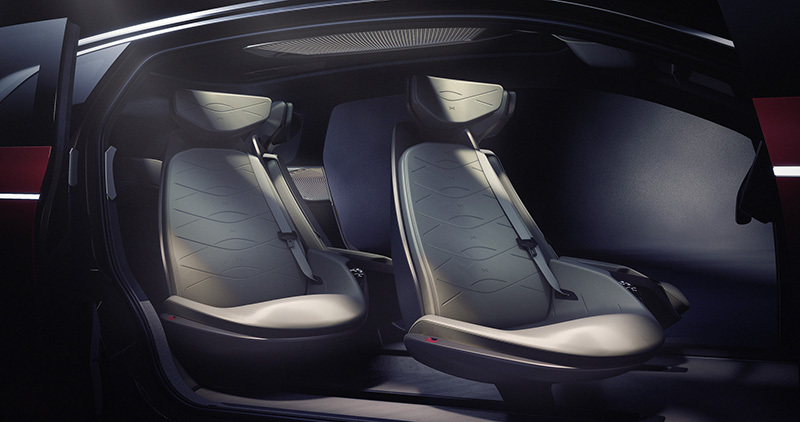 While not in use, the seats appear to provide a docking-like functionality, enabling the second row of seats to enter a reclined position and gaze upwards; the automaker calls it "a lounge on wheels". The seats themselves are also an interesting topic. 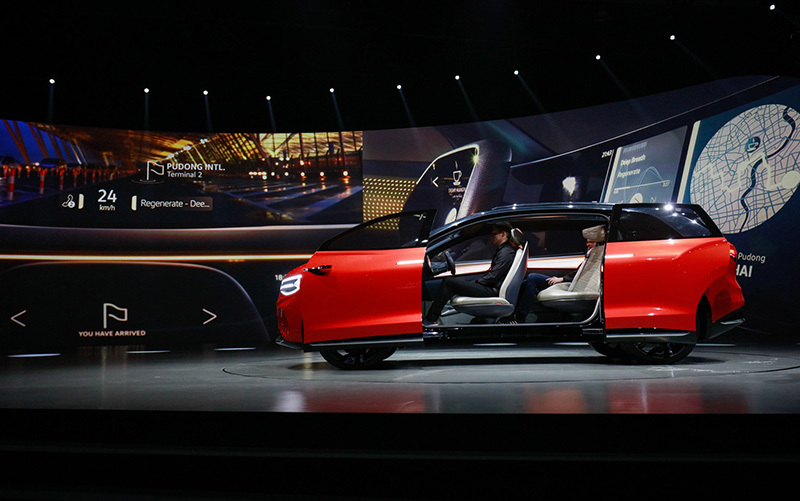 VW has made them out of a new product it calls "AppleSkin," a renewable premium material which complements wooden veneers used around the vehicle. 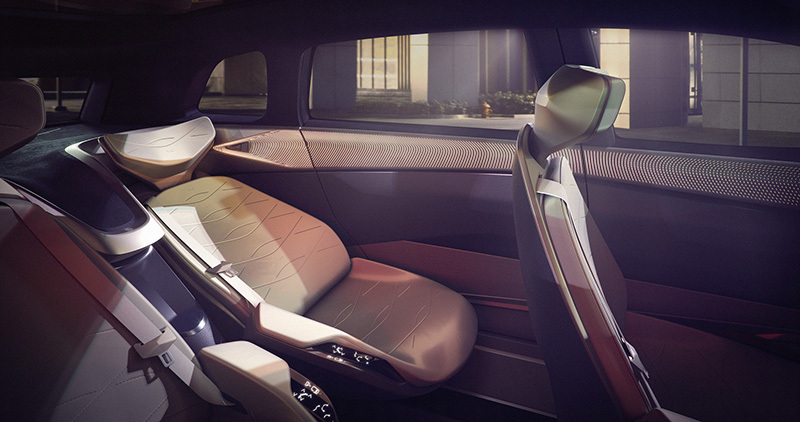 For a brief moment in the video below, the Roomzz's driver's seat can be seen articulating towards the open door, indicating that a driver-assist feature may be the its entry-friendly seating. 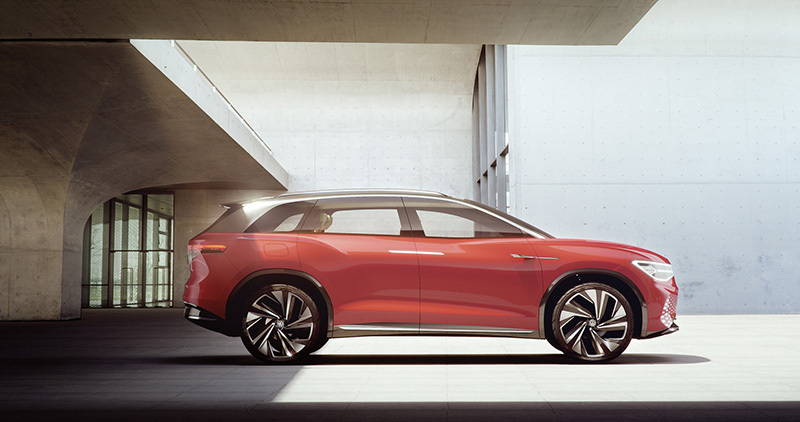 “This SUV is a monolith, appearing to be seamlessly machined from one solid block. The battery-powered ID. ROOMZZ moves effortlessly – silently and without emissions”, says Volkswagen's chief designer, Klaus Bischoff. 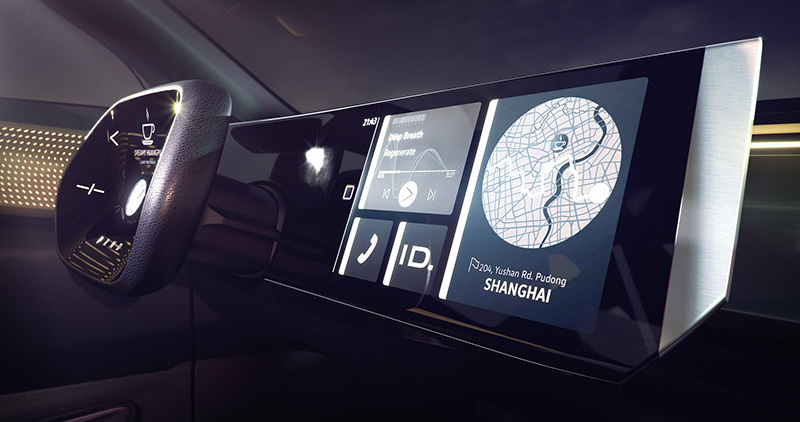 Volkswagen also says that the Roomzz will feature Volkswagen's "level 4" Advanced Driver Assistance System (ADAS), allowing for semi-autonomous travel while in "ID Pilot" mode. 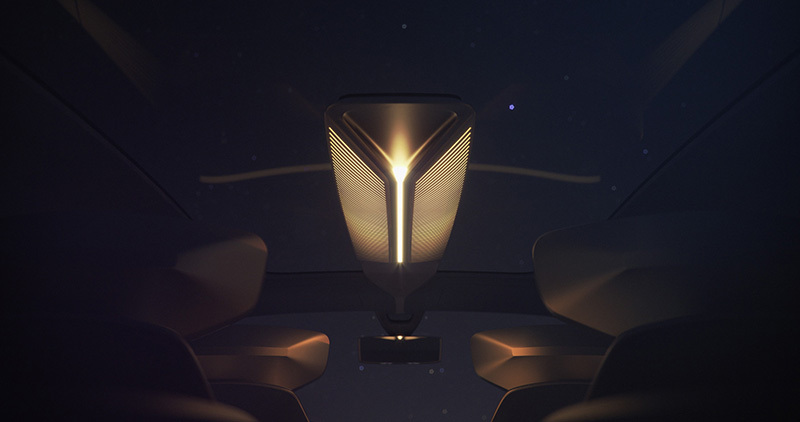 While engaged, the car will allow individual seats to be rotated 25 degrees to enable a "more communicative, lounge-like atmosphere" for passengers. However, Volkswagen says that it will allow for its seats to be reclined when the car is driving "fully automatically"; something which might raise eyebrows with groups advocating the proper use of automation and its terminology. As always, it's important to note that this is still a concept, so a lot of things in the car likely won't make it to market. 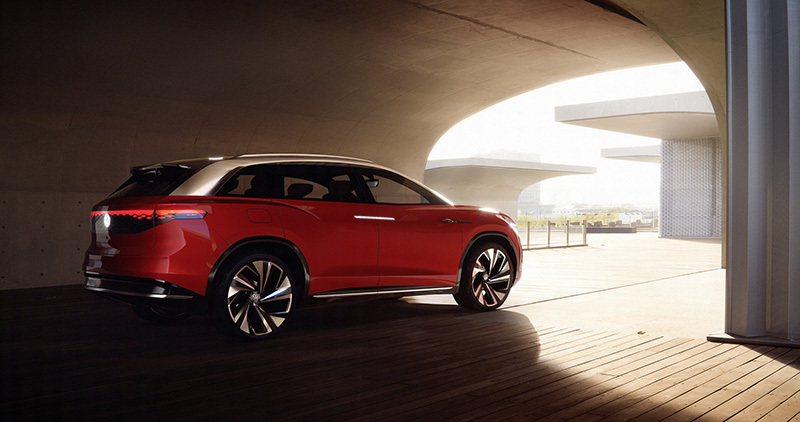 This includes the camera-based side mirrors, rectangular steering wheel, and likely the overall finished design. 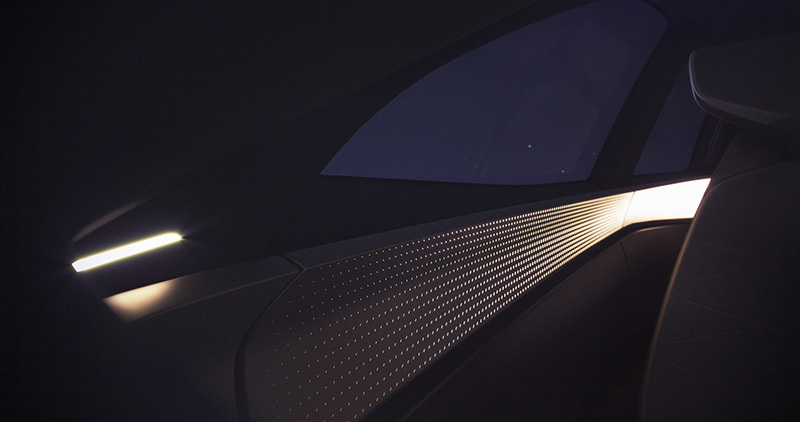 I will say that I hope that the illuminated door handles make it to the final product, because those are a nice touch along with the vehicle's other external lighting. The Play/Pause pedals from the ID Buzz are also a playful addition to the package. 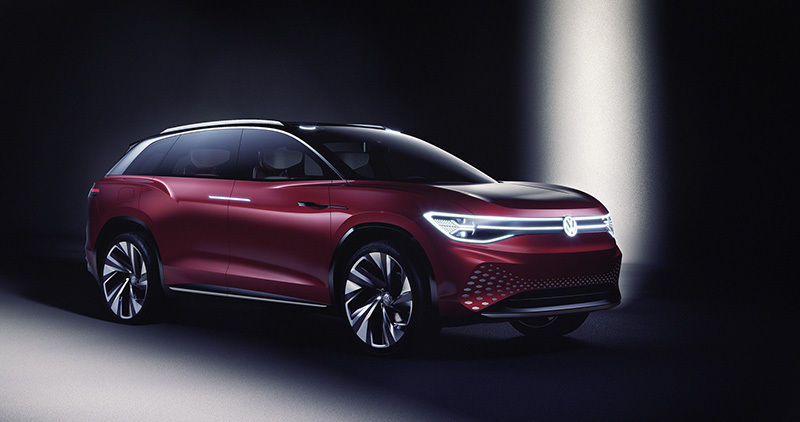 Volkswagen will release the Roomzz in the Chinese market as early as 2021, with other markets to follow. 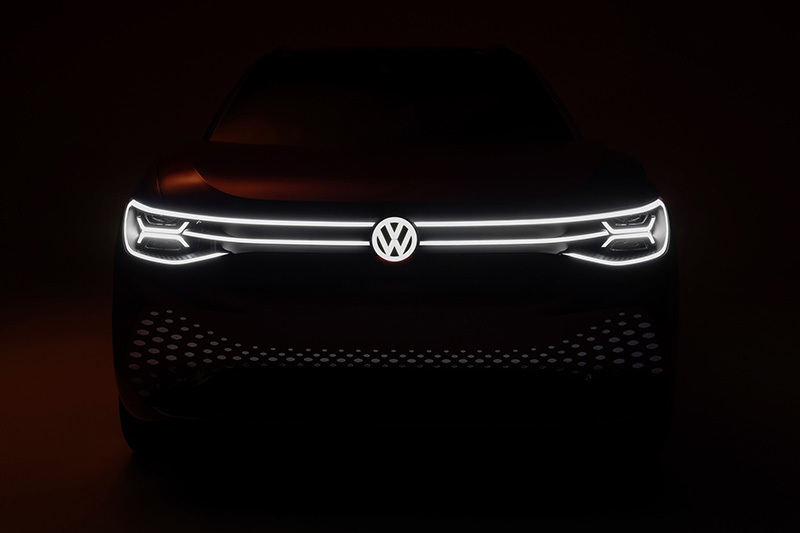 Volkswagen will reveal the real-wheel-drive, all-electric compact in full this September. 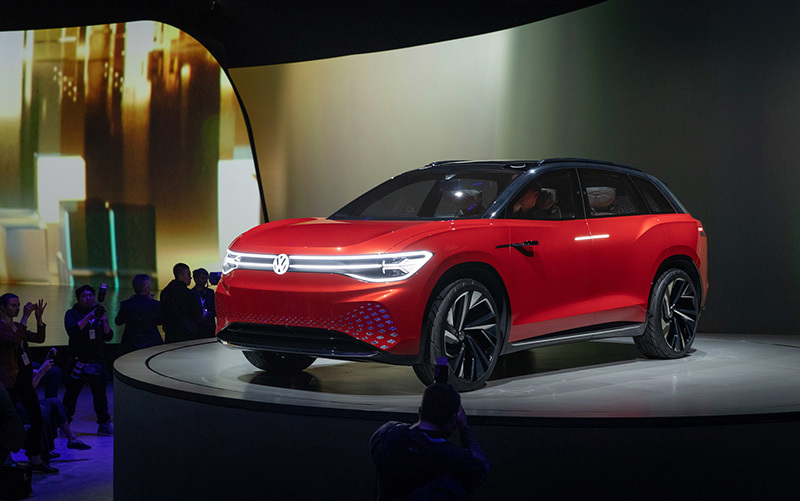 You're looking at Volkswagen's first mass-market electric vehicle, projected to have as much as 342 miles of range in WLTP tests.